The uncorroborated dossier of opposition research about Donald Trump has become a key document in the investigation over whether the Trump campaign colluded with the Russian government during the presidential campaign last year. Democrats have insisted that many claims made in the dossier, written by former British spy Christopher Steele, have been proven accurate. Republican lawmakers say otherwise, leading to a standoff between the two sides over the 35-page document, published by BuzzFeed News on Jan. 10. Here is what we know about the salacious document. Jan. 2010: Steele’s London-based intelligence firm, Orbis Business Intelligence, first hires opposition research firm Fusion GPS to work on an undisclosed project. Steele made this revelation in May 2017 in a court filing in London, where he is being sued by a Russian tech executive named in the dossier. Sept. 2015: An anti-Trump Republican donor reportedly hires Fusion GPS to begin investigating Trump’s past. The donor has yet to be identified. June 2016: As Trump ascends to the GOP nomination, the Republican donor leaves the Trump research project. Fusion GPS soon finds an unidentified Democratic ally of Hillary Clinton’s to take over the investigation. Fusion then hires Steele, a former MI6 agent with extensive experience in Moscow. June 9: Members of the Trump campaign team meet at Trump Tower with a Russian lawyer and Russian-American lobbyist who have some connection to Fusion GPS. Donald Trump Jr. accepted the meeting after a friend offered to provide negative information about Hillary Clinton. Trump Jr. and the lawyer, Natalia Veselnitkaya, claim that the information regarded the Magnitsky Act, a sanctions law opposed by the Russian government. Veselnitskaya was working alongside Fusion GPS last year to undercut the Magnitsky Act. There has been some speculation that the Trump Tower meeting is vaguely described in the dossier. June 17: Sergei Millian, an alleged source in the dossier, meets in St. Petersburg, Russia with Oleg Deripaska, an ally of Vladimir Putin’s and a former client of then-Trump campaign chairman Paul Manafort. Millian, the head of the Russian-American Chamber of Commerce, has been identified as “Source D” and “Source E” in different memos in the dossier. June 20: Steele writes the first memo of the dossier. Citing various sources, the memo contains a series of salacious claims about Trump. One source says that the Russian government has been “cultivating and supporting” Trump for at least five years. Other sources, including one said to be Millian, claim that Kremlin operatives have videos of Trump engaging in explicit acts with prostitutes in a Moscow hotel room. The sources also claim that the Trump campaign is engaged in an elaborate information exchange with the Russian government to help influence the election. Some of the information is about Hillary Clinton, the sources told Steele. July 5: Steele provides his first dossier memo to an FBI contact, The New York Times reported back in April. The newspaper also reported that the information did not make its way to FBI agents investigating the Trump team until several weeks after Steele provided it. 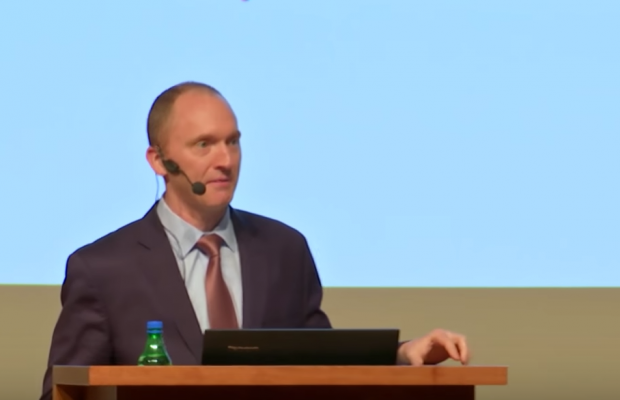 July 19: Steele writes a dossier memo alleging that former Trump campaign adviser Carter Page is coordinating with the Russian government. Page, an unpaid campaign volunteer, had traveled to Moscow in early July to give a commencement speech at a Moscow university. The dossier alleges that Page met secretly with Rosneft CEO and Putin ally Igor Sechin as well as a Russian government official named Igor Diveykin to discuss lifting sanctions. July 19-26: In an undated memo, Steele first mentions the hacks of Democratic National Committee emails, which WikiLeaks published on July 22. July 26: A Wall Street Journal reporter contacts Page to ask him questions about the allegations made in the dossier. Page revealed this outreach in a lawsuit he filed against Yahoo! News last week. The contact establishes that someone with knowledge of the dossier — either Steele or Fusion GPS — was quickly disseminating the information to reporters. Fusion GPS’ partners are all former Wall Street Journal journalists. July: Rick Wilson, a Republican strategist and outspoken Trump critic, is contacted by an investigative reporter about some of the claims made in the dossier. Wilson disclosed this to The New York Times in January, just after the dossier was published by BuzzFeed News. Late July: The FBI opens its counterintelligence investigation into possible collusion between the Trump campaign and Russian operatives. Former FBI Director James Comey disclosed this during a House Intelligence Committee hearing held this March. Summer 2016: Steele, who has done work in the past for the FBI, meets with agents in Rome to relay information he compiled during the Trump investigation. Fusion GPS and Steele also meet with reporters at various news outlet — The New Yorker, Yahoo! News, The New York Times, CNN, and The Washington Post — to discuss the dossier. According to Steele’s recent court filings, Fusion GPS arranged the meetings, which were held off-the-record. September: FBI officials apply for and obtain a Foreign Intelligence Surveillance Act (FISA) warrant to conduct surveillance on Page, who had by that point left his advisory role on the Trump campaign. It has been reported that the dossier was cited in the application for the warrant. A 2013 attempt by Russian spies to recruit Page was also a factor in seeking and obtaining the warrant. Page has said that the recruitment attempt was unsuccessful and that he cooperated with the FBI in that investigation. Republican lawmakers have recently questioned how much the FBI relied on the dossier to obtain the warrant against Page. Sept. 23: Yahoo! News reporter Michael Isikoff publishes an article detailing some of the allegations made about Page in the dossier. It was not known at the time that the information came from the Steele dossier. Isikoff refers to his source as a “Western intelligence source.” Isikoff did not disclose that his source was working in private intelligence and for Fusion GPS. October: Steele and Fusion GPS meet again with reporters. Steele also meets with FBI agents and is reportedly offered $50,000 to continue investigating Trump. The Washington Post reported earlier this year that the payment was never made, though it is unclear why. Congressional Republicans have questioned why the FBI sought to pay Steele for what they call a politically-motivated document. Oct. 7: WikiLeaks publishes the first tranche of emails stolen from the Gmail account of Clinton campaign chairman John Podesta. Oct. 31: Mother Jones reporter David Corn publishes the first article that directly quotes Steele and provides details of the Fusion GPS research project. Steele and Fusion GPS are not identified by name in the article, though Corn directly quotes from the dossier. 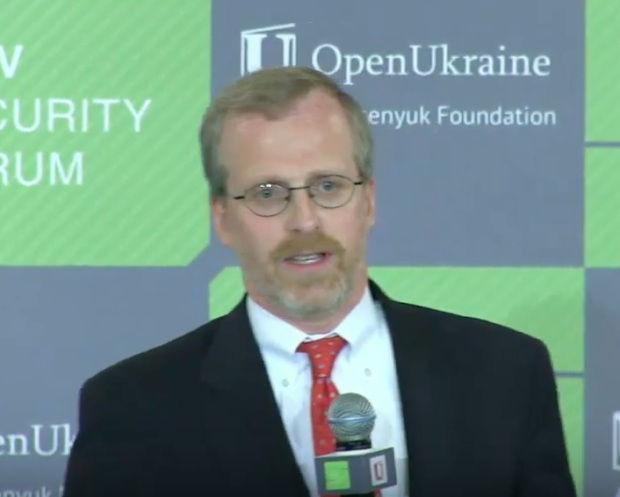 Mid-November: During a national security forum, an associate of Steele’s, Sir Andrew Wood, informs Arizona Sen. John McCain and one of his associates, David Kramer, of the dossier. The trio arrange for McCain to obtain a copy of the document. Kramer flies to London to meet with Steele on Nov. 28 and obtains a copy of the dossier. Dec. 9: McCain, now in possession of the Steele document, meets with then-FBI Director James Comey and provides him a copy of the dossier. Dec. 13: Steele writes the final memo of the dossier. In it, he cites an unidentified source who claims that Russian tech executive Aleksej Gubarev had used computer viruses to hack into the Democratic National Committee’s emails. Steele emailed an encrypted copy of the final memo to Fusion GPS with instructions to provide it to Kramer. Jan. 6, 2017: Comey briefs then-President-Elect Trump on some of the allegations made in the dossier. Jan. 10: CNN reports the Comey briefing, prompting BuzzFeed News to publish the full 35-page dossier. It is still not entirely clear how BuzzFeed obtained the dossier, though Fusion GPS has suggested in recent court filings that the firm was in contact with the news outlet. Feb. 3: Russian tech executive Aleksej Gubarev files suit against BuzzFeed News for publishing the dossier, names him in the Dec. 13 memo. Steele alleges in the memo that Gubarev’s companies used computer viruses and malware to hack the DNC’s email systems. BuzzFeed apologizes to Gubarev and redacts his name in the dossier. Gubarev later sues Steele in London. March 24: Iowa Republican Sen. Chuck Grassley, the chairman of the Senate Judiciary Committee, begins focusing on Fusion GPS’ role in the dossier and in its pro-Kremlin lobbying effort to undercut the Magnitsky Act. The Senator sends a letter to the opposition research firm asking it to identify its political clients and to reveal details of its contracts with Steele. Fusion GPS would later deny most of the committee’s requests, citing attorney-client privilege and confidentiality agreements. April 3: Steele files a declaration in a London court in response to Gubarev’s lawsuit acknowledging that the Dec. 13 memo contains unverified information. May 9: Trump fires FBI Director James Comey. May 17: Deputy Attorney General Rod Rosenstein appoints former FBI Director Robert Mueller to serve as special counsel in the Russia investigation. May 18: Steele files another declaration in the Gubarev lawsuit laying out details of his interactions with Fusion GPS, journalists, and McCain. 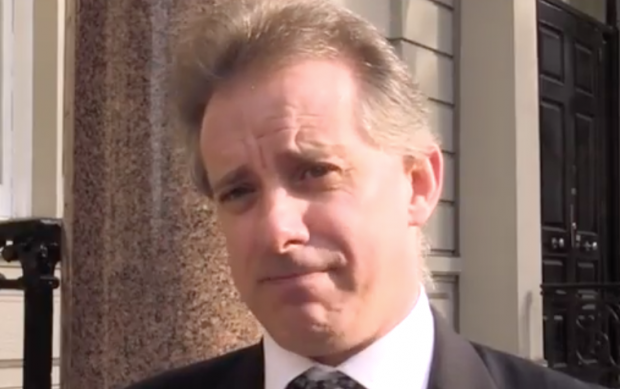 Steele insists that he did not provide copies of the dossier to any news outlets. Aug. 22: After months of negotiations, Fusion GPS co-founder Glenn Simpson is interviewed by the Senate Judiciary Committee for 10 hours. Simpson says in a statement after the interview that he did not reveal the identities of his clients. He also says he stands by the dossier. ABC News reports that Fusion GPS was paid around $1 million by Republicans and more later by Clinton’s allies to investigate Trump. The network also reported that Steele had provided the FBI with the identities of his dossier sources. Sept 6: Fusion GPS is deposed in the Gubarev lawsuit. Sept. 14: Page, the former Trump campaign adviser, files a lawsuit against Yahoo! News’ parent company over the Michael Isikoff article.